The Nelda C. and H.J. 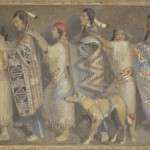 Lutcher Stark Foundation of Orange, Texas will present 11 mural-sized Minerva Teichert paintings to the Brigham Young University Museum of Art. 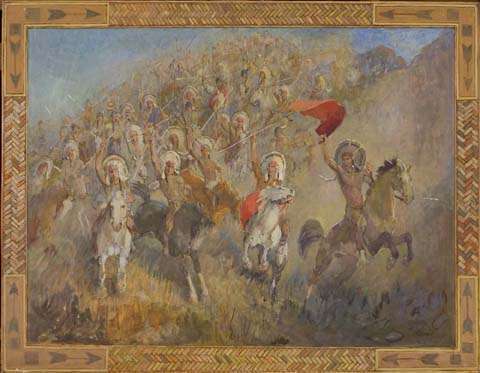 This gift of art is the third largest in the MOA �s history. The ceremony to officially accept these works will take place on Friday, Dec 7. 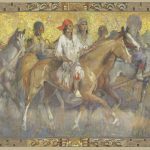 The donated works, now on display in People in a Hard Land: Iconic Images of Life in the Southwest, depict Native Americans, cowboys and pioneers. 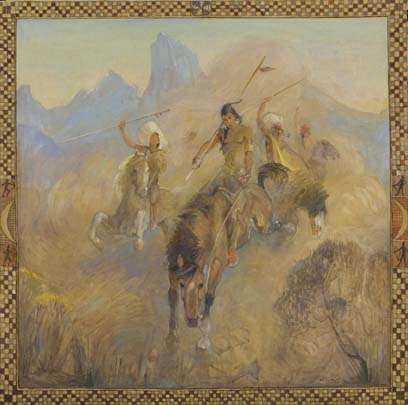 BYU began collecting Teichert works in the 1930s. 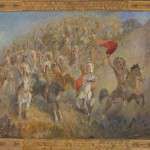 With the recent donation, the museum has 92 paintings and 67 sketches and drawings in its Teichert collection. Teichert (1888-1976) was an American painter noted for her depictions of Western and religious subjects. Teichert �s paintings reflect her theatrical nature and are filled with action. Texas businessman H. J. Lutcher Stark acquired at least 15 of her works during his life. 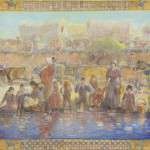 He began collecting Teichert �s work in the late 1940s at a time when the focus of Teichert �s work had begun to shift. All of the donated pieces of artwork were tacked to the walls of the cabin homes owned by the Starks. 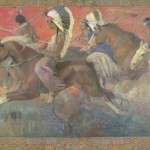 That Hollywood aesthetic appears in many of the paintings donated to the museum. 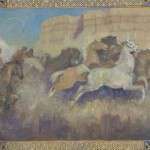 Of these paintings, Stampede in the Canyon (1956) was considered by Teichert to be one of her masterpieces. 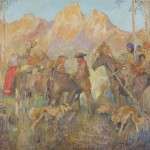 Also on the list of donated works are The Courting Dance, Day at the Rodeo, Exchange in the Foothills, Four Mounted Indian Braves, Mounted Hunt, A Refreshing Respite from the Wagon Train, On the Warpath, Moving South, Stampede (1950), Stampede (1959), and Stampede in the Canyon. The career of H. J. Lutcher Stark spanned the industries of banking, insurance, manufacturing, real estate and petroleum; however, he was best known for his contributions to the lumber industry through the successful Lutcher & Moore Lumber Company co-founded by his grandfather, Henry Jacob Lutcher and G. Bedell Moore. In 1961, Lutcher Stark, together with his wife, Nelda, established the Nelda C. and H.J. Lutcher Stark Foundation, a private foundation that aims to improve the quality of life in Southeast Texas by encouraging, promoting, and assisting education, the arts, and health and human services. Images of the donated paintings may be viewed in the photo gallery below. 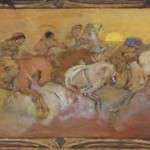 Minerva Teichert (1888-1976), Day at the Rodeo, 1954, oil on canvas, 48 x 114 inches. Brigham Young University Museum of Art, gift of The Stark Museum of Art, Orange, Texas, 2012. 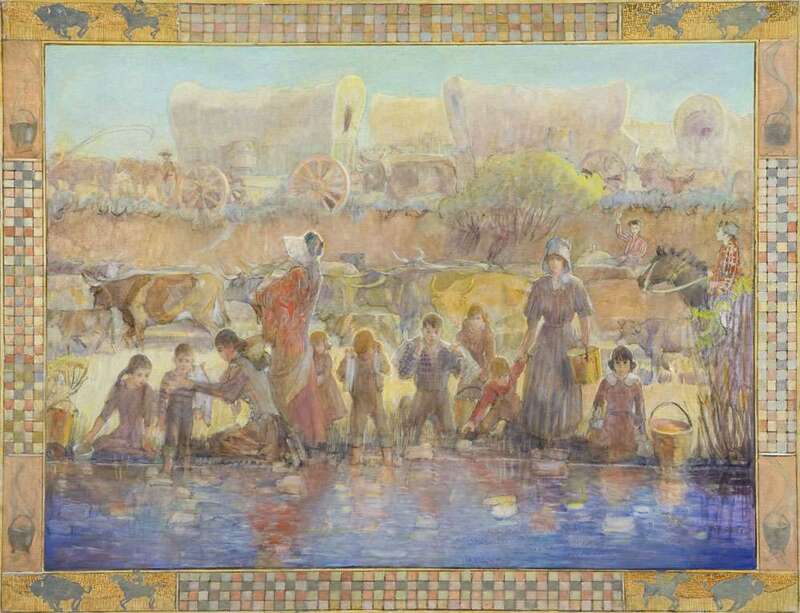 Minerva Teichert (1888-1976), A Refreshing Respite from the Wagon Train, 1955, oil on canvas board, 42 x 54 3/16 inches. Brigham Young University Museum of Art, gift of The Stark Museum of Art, Orange, Texas, 2012. 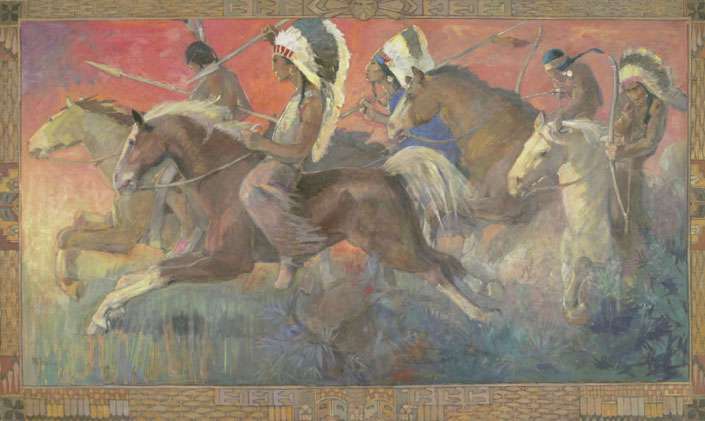 Minerva Teichert (1888-1976), On the Warpath, 1955, oil on canvas board, 42 x 54 3/16 inches. Brigham Young University Museum of Art, gift of The Stark Museum of Art, Orange, Texas, 2012. 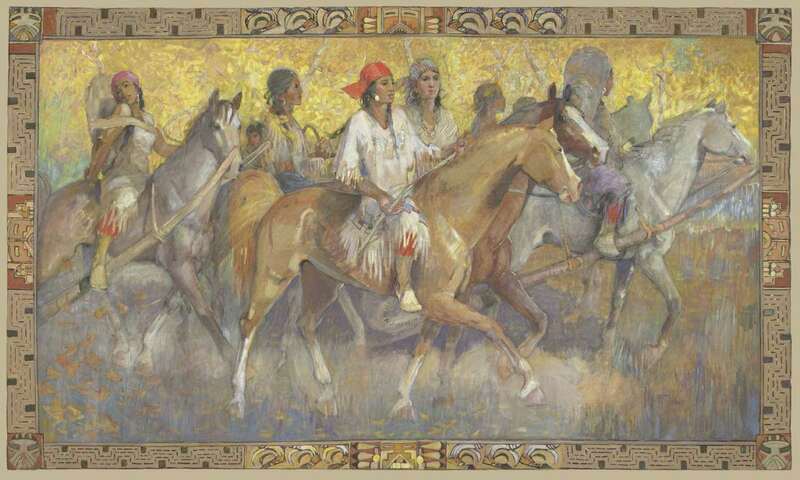 Minerva Teichert (1888-1976), Moving South, 1949, oil on canvas, 60 x 101 inches. Brigham Young University Museum of Art, gift of The Stark Museum of Art, Orange, Texas, 2012. 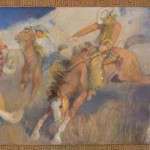 Minerva Teichert (1888-1976), Mounted Hunt, 1949, oil on canvas, 60 x 100 inches. Brigham Young University Museum of Art, gift of The Stark Museum of Art, Orange, Texas, 2012. 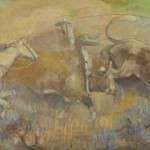 Minerva Teichert (1888-1976), Stampede, c.1950, oil on canvas, 42 x 90 inches. Brigham Young University Museum of Art, gift of The Stark Museum of Art, Orange, Texas, 2012. 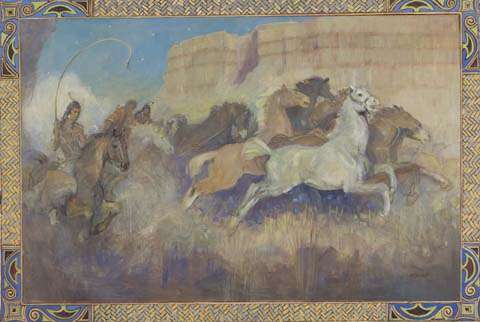 Minerva Teichert (1888-1976), Stampede, 1959, oil on panel, 24 x 60 inches. Brigham Young University Museum of Art, gift of The Stark Museum of Art, Orange, Texas, 2012. 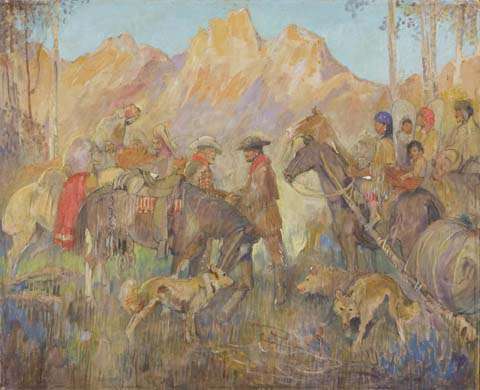 Minerva Teichert (1888-1976), Stampede in the Canyon, 1956, oil on canvas, 48 x 66 inches. Brigham Young University Museum of Art, gift of The Stark Museum of Art, Orange, Texas, 2012. 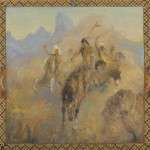 Minerva Teichert (1888-1976), Four Mounted Indian Braves, 1955, oil on canvas, 72 x 72 inches. Brigham Young University Museum of Art, gift of The Stark Museum of Art, Orange, Texas, 2012. 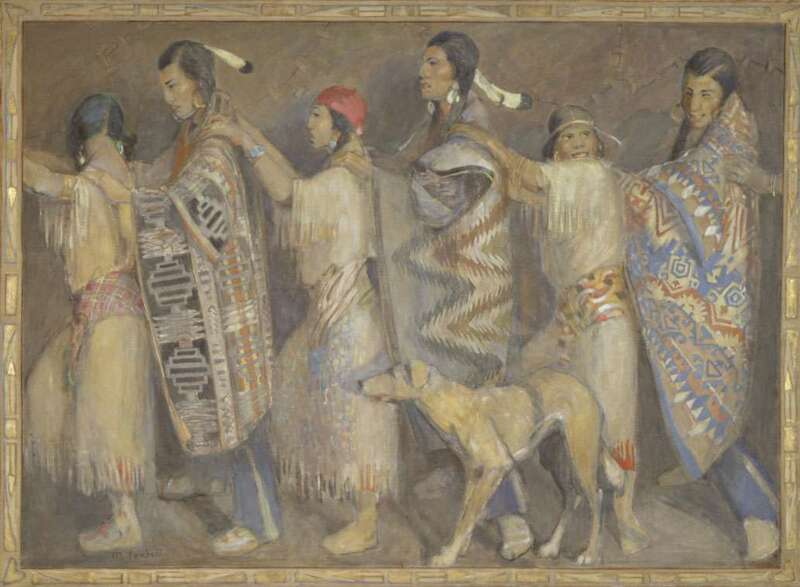 Minerva Teichert (1888-1976), Exchange in the Foothills, 1955, oil on canvas, 39 x 48 inches. Brigham Young University Museum of Art, gift of The Stark Museum of Art, Orange, Texas, 2012.